The end game of Tony Abbott’s policy pitches is unknown, but in the interim they seem to be destabilising the party. For his own good, Malcolm Turnbull can’t get out of the country quickly enough. He’s off on Wednesday to the G20 in Germany and, if he has any sense, while he’s abroad he’ll try to avoid being drawn on local Liberal shenanigans. As it is, one year from his narrow election win, he’s been talking his way into trouble. There was the interview with the Sunday News Corp papers in which he said “when I cease to be prime minister, I will cease to be a member of parliament”. While he might have had his mind on how Tony Abbott should behave, inevitably this came to be interpreted as Turnbull threatening a by-election if he were rolled. This wasn’t as provocative as when Bob Hawke, riled by Paul Keating’s “Placido Domingo” speech, told journalists he would be prime minister for the following five years (only to be deposed a year later). But it was bad on two grounds. “A very long time” manages to sound simultaneously presumptuous and defensive. And why would a leader who feels totally secure choose to assert, rather than have it taken for granted, that he would be running at the next election? Abbott’s ultimate objective is to see Turnbull leave the leadership. It’s unclear what will be the outcome of that story. But if he has an intermediate goal – of distraction and destabilisation – he is achieving that. Turnbull is talking about himself – unhelpfully – while his ministers are having to defend him and comment on Abbott, and the message to voters is of a party divided. The rather plaintive if obvious statement from Industry Minister Arthur Sinodinos – “I can’t control Tony Abbott” – goes for them all. Abbott has disproportionate negative power, in the sense that his public contributions, whether speeches or radio interviews, routinely gain maximum attention and become reference points for the media. Abbott is operating on two fronts. One is a populist pitch to the voters on the right. The other is an appeal to disgruntled members of the Liberal Party, both broadly but especially in his home state of New South Wales. He is picking up on issues of concern to ordinary people and throwing out prescriptions – for example proposing a freeze on subsidies for wind farms to help ease pressure on power prices, and urging a cut in immigration to assist with housing pressures. For the conservatives among the party faithful, he has become the voice of tradition. For the NSW rank and file, he is the vanguard in the fight for internal democracy. While his policy pitches, to voters generally and those within the party, are simplistic, unconvincing and often at odds with what he did while prime minister, his stand on party reform in his home state highlights serious flaws in the NSW party organisation. Party reform – more often something that has bugged federal Labor leaders than Liberal ones – is also emerging as a serious front on which Turnbull will have to manage the “Abbott factor”. In 2014, in a report commissioned by Abbott, John Howard outlined the NSW Liberal division’s problems, including its entrenched factionalism, and recommended changes, one of which was a system of preselection plebiscites for lower house seats, in which branch members of two years’ standing would be able to vote. Howard has acknowledged that reform in the NSW division will only come if the party’s federal and state leaders get behind it. Last year, as Abbott promoted the issue, Turnbull and then-premier Mike Baird backed a broad motion on reform but kicked the issue down the road to a party convention, which will be held on July 22-23. Once again, Turnbull and the state leader, Premier Gladys Berejiklian, will have to take a stand. To say it’s difficult for Turnbull is an understatement. His moderate faction (together with a “soft right” subsection of the right) controls the NSW division, including its preselections, tightly and with an iron fist. The power of lobbyists over what happens and who is selected is notorious. 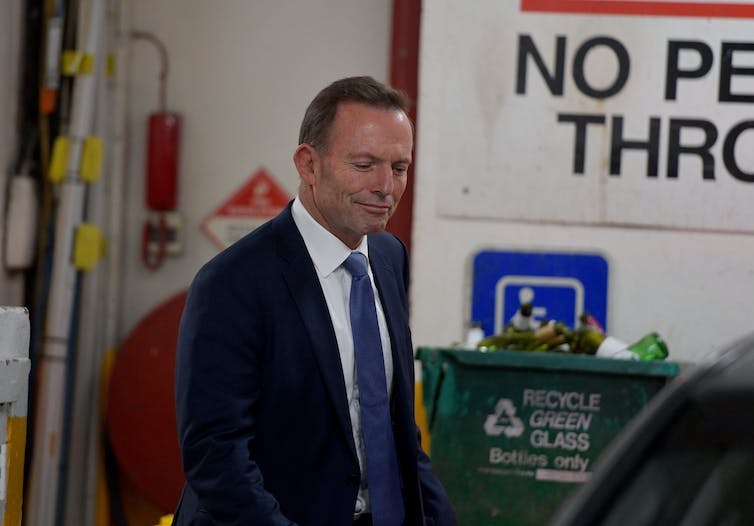 Abbott’s attempt when prime minister to break their clout did not succeed. Genuine reform would weaken the present factional control, although to what degree and over what time frame is not clear. The whole power structure could be transformed. This is the last thing the moderates want. Moderates express doubts about going too far because of the dangers of branch stacking, which is what they say has happened in Victoria. Their opponents call this “branch building”. There are counter proposals that include a longer qualifying time to vote in preselection plebiscites, and a test that would reward people for their activities in the party. The outcome of the convention is not binding on the party hierarchy but would be hard to defy. Turnbull is caught between his nemesis, who has wrapped himself tightly and conspicuously in the flag of party reform, and his faction, which doesn’t want to give away more than absolutely necessary. The expectation is that Turnbull will back changes but they will be hedged and qualified. One would think the party would support the Turnbull position, given the stakes. The wider point is that Turnbull, with all his other problems, does not need a battle over Liberal “internals” as another distraction.